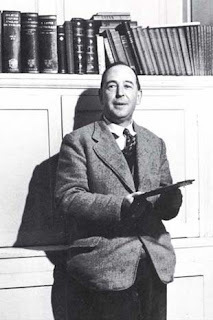 C.S.Lewis : With many a great novel to his name wrote an essay called....."The funeral of a Great Myth"........The essay was about the theory of evolution and how indeed it is a myth reliant upon imagination and is full of enchantment . He also explains that we must be gentle in our presentation of The Truth . C.S.Lewis ,The funeral of a Great Myth. .Page 123. ‘That is why we must treat the myth with respect. It was all (on a certain level) nonsense but a man would be a dull dog if he could not feel the thrill and charm of it. The atheistic evolutionary pied piper Richard Dawkins admitted himself that Darwin made it possible to be an intellectually fulfilled atheist. And we all know how wrong Darwin was and how even the evolutionary paradigm holders are claiming things have moved on since Darwin . In other words they know Darwin was wrong , and so did Darwin , so therefore Dawkins intellectual fulfillment is based on imaginitive hopeful storytelling rather than on the correct interpretation of the evidence which we all have .